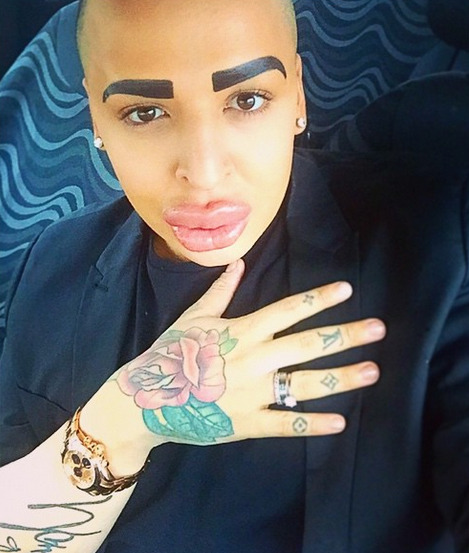 Do you love Kim Kardashian as much as this 23-year-old man? Jordan James Parke, who is obsessed with the controversial celebrity, has already spent $160,000 (N29,944,000) to look like his idol, Manchester, England, UK. A Kim Kardashian superfan says that this money is nothing because his person of adoration – Kim Kardashian-West – deserves more. Mr. Parke made the decision that he wanted to look like the reality show icon after first seeing her on Keeping Up with the Kardashians several years ago.“I love everything about Kim. She’s the most gorgeous woman ever. Her skin is perfect, her hair, everything about her. I’m addicted to lip-fillers. The bigger, the better. I’ve never felt better about myself. NOLLYWOOD: Monalisa Chinda finds love again?